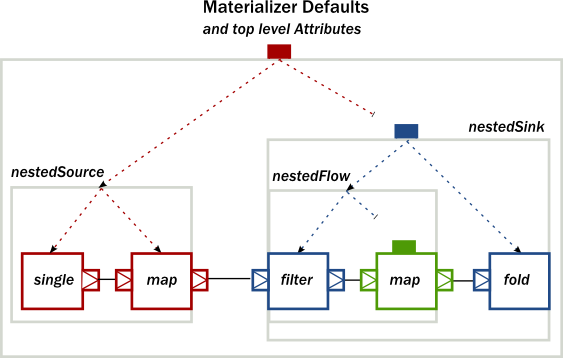 Every processing stage used in Akka Streams can be imagined as a "box" with input and output ports where elements to be processed arrive and leave the stage. 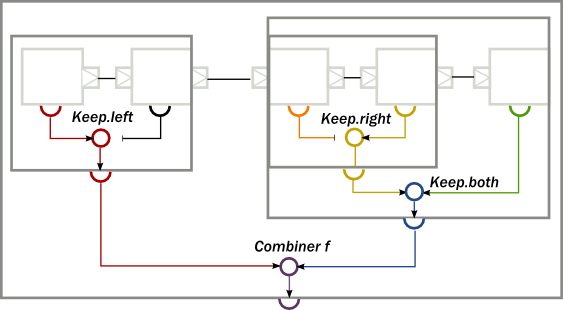 In this view, a Source is nothing else than a "box" with a single output port, or, a BidiFlow is a "box" with exactly two input and two output ports. In the figure below we illustrate the most common used stages viewed as "boxes". Please note that when combining a Flow using that method, the termination signals are not carried "through" as the Sink and Source are assumed to be fully independent. 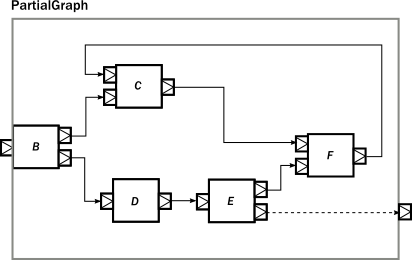 If however you want to construct a Flow like this but need the termination events to trigger "the other side" of the composite flow, you can use CoupledTerminationFlow.fromSinkAndSource which does just that. 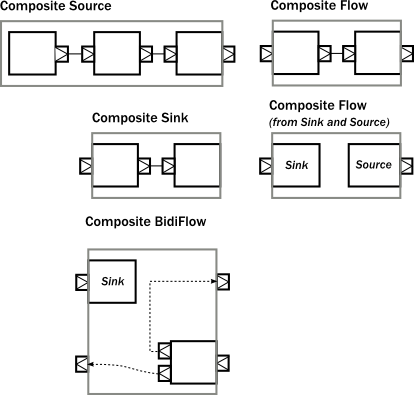 For example the cancelation of the composite flows source-side will then lead to completion of its sink-side. 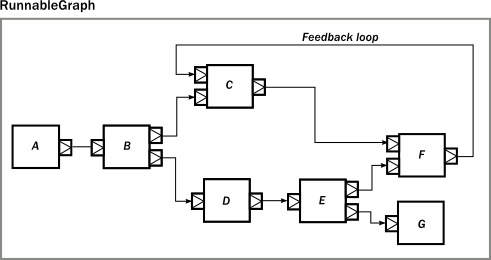 Read CoupledTerminationFlow's scaladoc for a detailed explanation how this works. The type of the imported module indicates that the imported module has a ClosedShape, and so we are not able to wire it to anything else inside the enclosing closed graph. Nevertheless, this "island" is embedded properly, and will be materialized just like any other module that is part of the graph. As we have demonstrated, the two DSLs are fully interoperable, as they encode a similar nested structure of "boxes with ports", it is only the DSLs that differ to be as much powerful as possible on the given abstraction level. 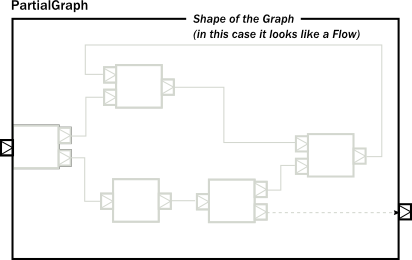 It is possible to embed complex graphs in the fluid DSL, and it is just as easy to import and embed a Flow, etc, in a larger, complex structure.